This book wrung my heart, because I was Kitty. I drug my family along in the wake of my anorexia. Until I read this book, I had no real perspective of how my family felt. I didn’t understand the bruises and burdens on my mother’s heart anymore than she understood why I refused to eat. 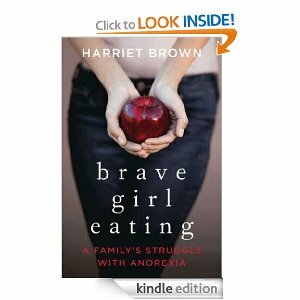 Harriet Brown does an outstanding job of conveying the family’s hurt without demonizing the anorexic teen. So many times, I wondered why my parents and sisters did not give up and abandon me, this book gives that explanation. I also find Brown’s ability to express her daughter’s emotions amazing. When in the midst of my eating disorder, I was sure that no one understood me. 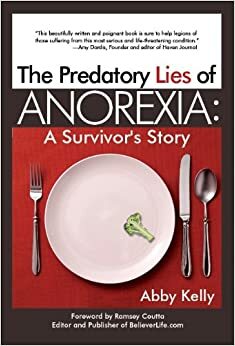 Perhaps they cannot put on the anorexic’s shoes and walk a mile, but this book proves that empathy and compassion are possible. While I did go inpatient, unlike Kitty, I spent many years of my struggle at home, and my own family played much the same roles that this book describes. Finding even a glimmer of understanding in a parent’s eyes is life to the struggling teen. Harriet Brown has authored another book, Feed Me. I highly recommend that book to any woman living in this race-paced, media saturated, perfectionistic culture.